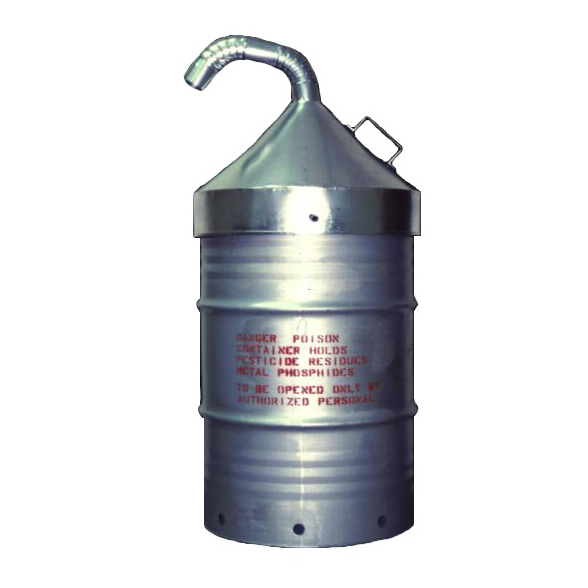 The Hooded Deactivation Drum is designed to provide a safe and secure short term storage of partially spent fumigant residues prior to final disposal. The weather proof system allows for air circulation from both the top and bottom while keeping the residues dry. The locking lid eliminates tampering with the product.